Thank God for Diana's new life! We are so thankful that Westley was baptized yesterday. He came to Heavenview after our Free Community Health Screening to tell us that God had been dealing with him about getting baptized. We were so thankful for this life-changing decision Westley made last night. When addictions set you back, we know a God that heals and helps. Heavenview is a family of believers who wants to help you along in your faith journey in any way we can. We believe that God delivers and cleanses us when we 1. ASK (Repentance) and 2. ACT (Be Baptized). The Bible says, "We are buried with Him in baptism." We can say goodbye to the person we used to be. The person who lived for self, now lives for Jesus Christ. We celebrate Jade's choice to be baptized! We are so thankful that God is working in the lives of the youth of Heavenview. The Bible instructs us to come to Jesus Christ as a child. We can learn a lot from these little ones! What a great decision Abbey made recently. 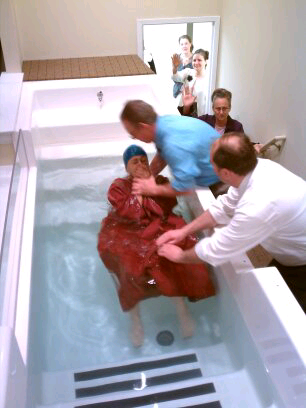 She decided that she wanted to be baptized. 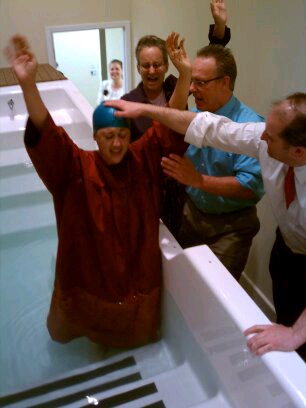 When asked what led her to be baptized, she answered, "I want to see God." We celebrate this very special occasion with Abbey. 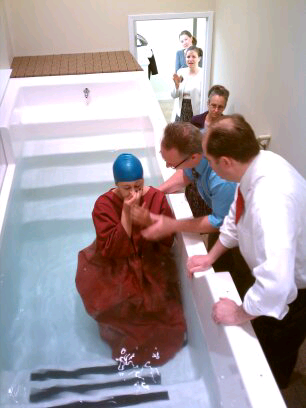 We are so thankful for Julia's choice to be baptized in Jesus' Name. We are here to help her grow in her relationship with Jesus Christ. We're all on a journey, her's just got better!